The Indian team support staff, including batting coach Sanjay Bangar and fielding coach R Sridhar, have turned down the 25 percent salary hike offered by BCCI CEO Rahul Johri. 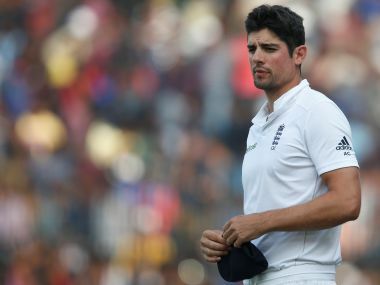 Alastair Cook has resigned as England Test captain after a record 59 matches in the role, the England and Wales Cricket Board (ECB) said on Monday. 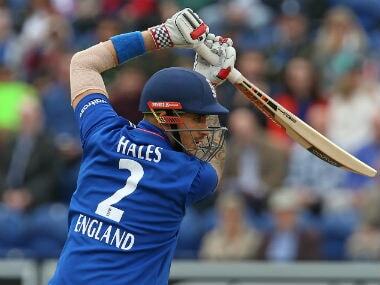 England opener Alex Hales will be missing the remainder of the India tour as he is returning home following an injury in his right hand during the second one-day international in Cuttack. 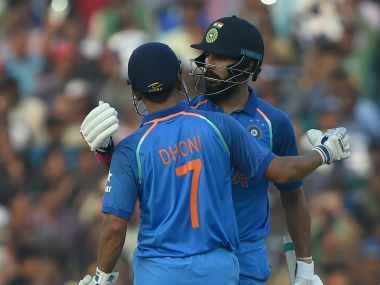 Veterans Yuvraj Singh and Mahendra Singh Dhoni turned back the clock with blistering centuries to set up India's series clinching 15-run win against England in the second one-day international in Cuttack. 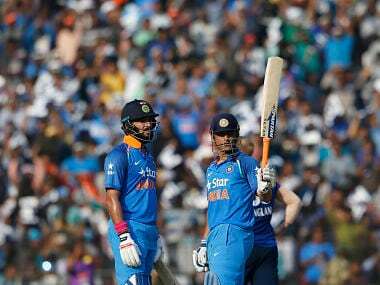 Centuries from veterans Yuvraj Singh and Mahendra Singh Dhoni helped India post a mammoth 381 for six against England in their second one-day international in Cuttack. 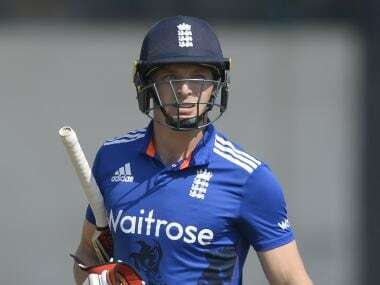 English vice-captain Jos Buttler, on Wednesday, said the time he spent with the Mumbai Indians in the Indian Premier League 2016 made him a better cricketer. England have not won a single match so far in their tour of India but their ODI team vice-captain Jos Buttler today said that the host country was the best place to play cricket. An excited crowd made a beeline at the Barabati Stadium but to their disappointment, captain Virat Kohli and most of the Indian players skipped the optional practice session on the eve of the second ODI against England in Cuttack. 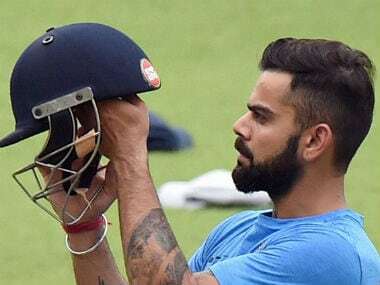 Opener KL Rahul on Wednesday said India skipper Virat Kohli has already showed signs of being a "great leader" with his energy, passion and penchant for leading by example.